It was one of the most horrifying hoarding cases Pasado’s Safe Haven had ever seen. Its details are too horrible even to include in this post. But the surviving cats who were diagnosed as feline leukemia (FeLV) positive have landed at Austin Pets Alive!, where they’ll be living in foster homes and being part of a diagnostic study designed to help FeLV-positive shelter cats. 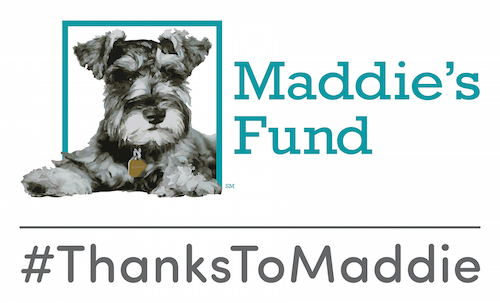 Dr. Julie Levy of the Maddie’s Shelter Medicine Program will be heading up the research. In this 18-month study funded by Maddie’s Fund, researchers hope to learn now many cats will test negative within six months after a positive test, to examine the accuracy of and agreement between different testing methods, to understand what can be learned from discordant test results, and potentially to identify why some cats overcome the virus and others don’t. If you live in the Austin area and would consider providing a foster home for one of the FeLV-positive cats in the study, please email felv-study@austinpetsalive.org.